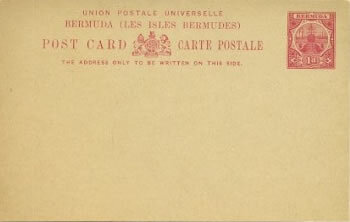 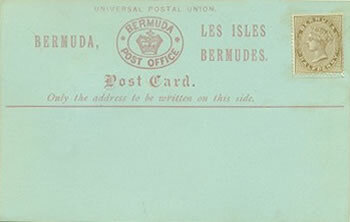 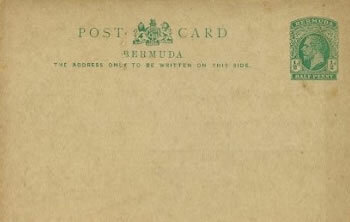 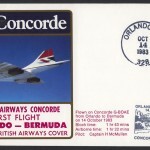 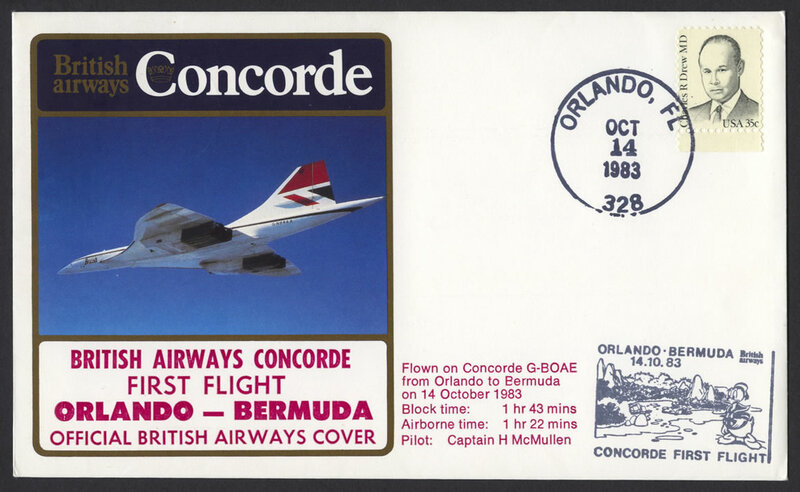 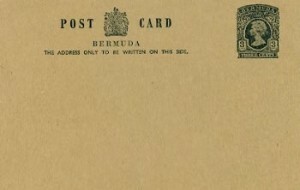 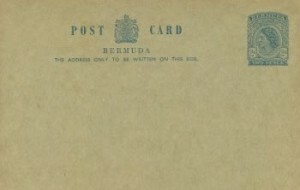 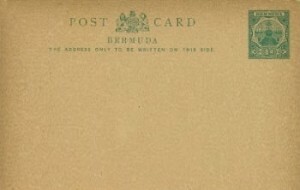 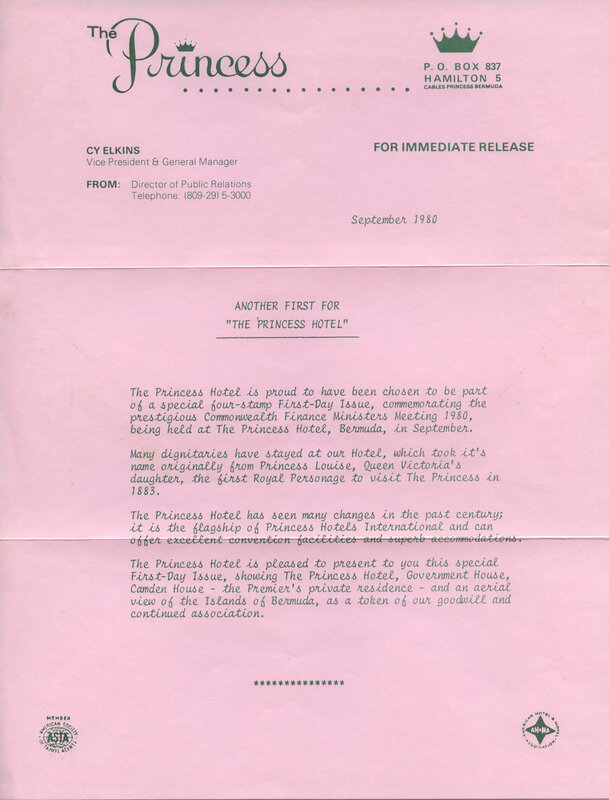 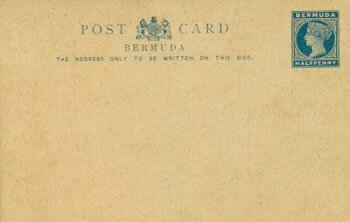 Various offical Postal Cards issued by the Bermuda Post Office. 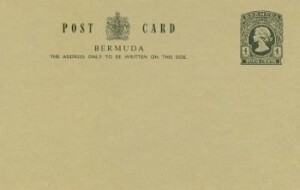 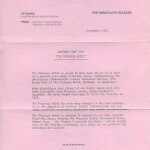 Reference numbers are from Higgins and Gage Bermuda Revised 1976. 1880 – #1 HALF PENNY Inland Rate Post Cards carmine on light blue Setting A (U above comma), Setting B (U above A) and Setting C (U above D and A). 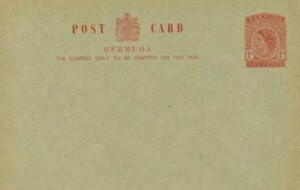 ½d QV stamp officially affixed. 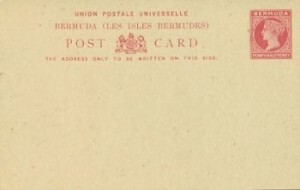 #1a Without stamp. 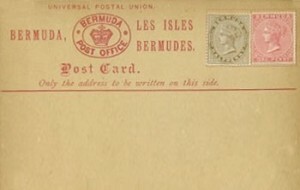 1880 – #2 HALF PENNY and ONE PENNY Foreign Rate Post Cards carmine on buff Setting A (t above r), Setting B (t above 2nd d) and Setting C (t above dr). 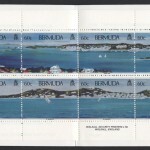 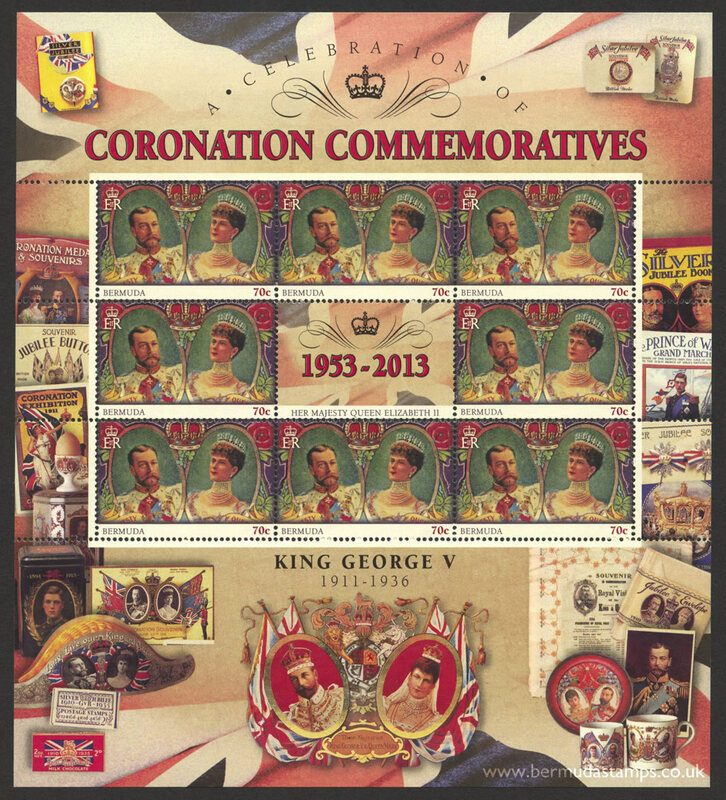 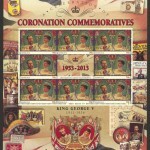 1d and ½d QV stamps officially affixed. #2a Without stamps. 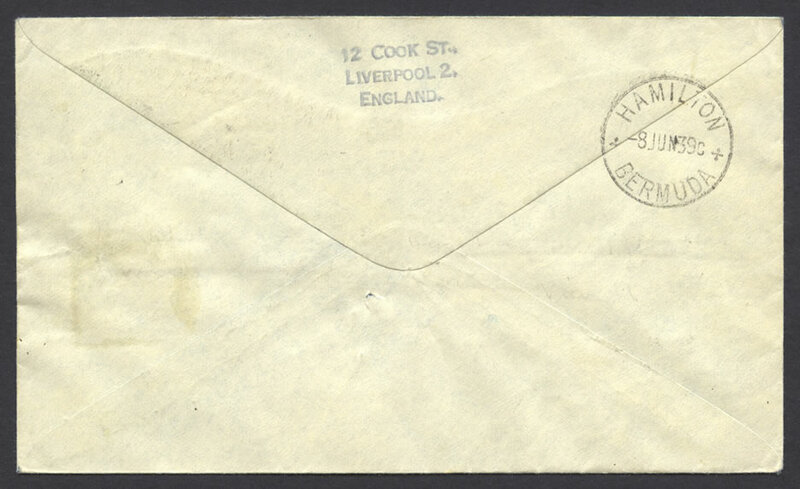 1885 – #3 HALF PENNY Inland Rate Post Card blue on buff Printed ½d QV stamp. #3a White card. 1885 – #4 PENNY HALF PENNY Foreign Post Card carmine on buff Printed 1½d QV stamp. #4a White card. 1885 – #5 PENNY HALF PENNY + PENNY HALF PENNY Foreign Post Card with Paid Reply Card carmine on buff Printed 1½d QV stamp. 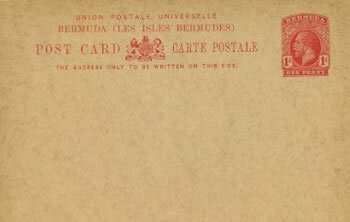 1893 – #7 Surcharged Foreign Post Cards carmine on buff Printed ½d QV stamp with “One Penny.” overprinted in two lines. 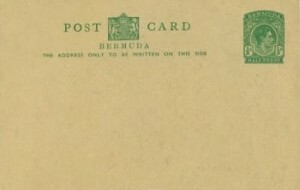 Setting A (4mm gap beteen One and Penny), Setting B (4mm gap. 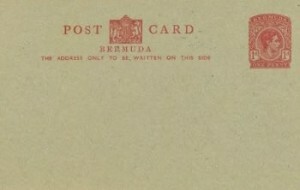 E broken, serif bottoms no feet), Setting C (4.5mm gap. Right of N broken and concaved. 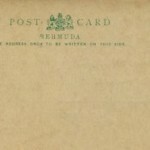 Break in E top rougher than next variety) and Setting D (4.5mm gap. Upright leg of one broken but flat. 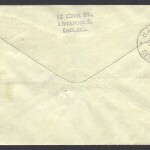 Broken E of penny flatter than variety C). 1893 – #10 Surcharged Foreign Post Card with Paid Reply Card carmine on buff Printed 1½d QV stamp with “One Penny.” overprint in two lines.